The majority of the Apple-loving world may have its attention set on the new iPad right now, but there are other deals lurking about for those who know where to look. Take Costco. 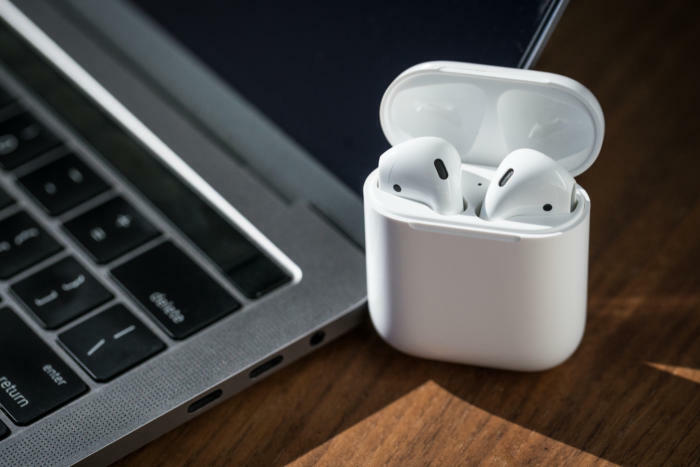 If you’re a member of the popular wholesaler, you can pick up Apple’s beloved AirPods today for a rare discount of $20 off. The AirPods have become quite a hit as of late, and here on the sidewalks of San Francisco, it seems as though every fourth person has them in their ears. Knockoffs from the likes of Huawei are starting to abound, but Apple’s original design continues to distinguish itself through the niftiness of the case (which doubles as the charger), the surprisingly good sound quality (which is much better than we find with the similar-looking wired EarPods), and yes, even the integration with Siri. The Siri integration, in fact, was actually one of the downsides we mentioned in our review. The AirPods themselves have no physical controls on them (if you don’t count an option to set double-taps on a single AirPod to call up Siri, pause or play music music, or change tracks), with the idea being that you're supposed to use Siri for most of this stuff. In practice, it means you'll find often find yourself making volume adjustments and song changes through your iPhone or Apple Watch. On the other hand, the Siri controls work well for what they do. It gets a little annoying to call up Siri all the time, but even so, the AirPods serve an impressive display of what Apple can do when it thinks smartly about voice control. Some of the other features make up this occasional awkwardness, though, such as the way the sound stops when you pull out a single AirPod. Put it back in, and the music starts again. For that matter, the process of pairing the devices is elegantly simple. I often find myself reaching for them over my Bose QuietComfort 35 cans for that reason alone. Discounts for the AirPods are rare, and in fact, until recently it was difficult to find them in stock at all. Hop on this one while you can.